In the past we have discussed the allegedly illegal and fraudulent practices of the Big Banks that helped bring the economy into Recession, but until now, we have not seen such a blatant example of how it pays for Big Banks to break the rules and get ahead at the same time. As you may recall, JP Morgan Chase Bank recently agreed to a $13 Billion dollar settlement with the Justice Department for allegedly defrauding customers. That sounds like a big number, but that was only part of the total fines and penalties JP Morgan Chase was liable to pay in 2013 due to its less than honorable business practices. It may surprise you that after agreeing to the $13 Billion settlement and having to pay other large fines, the CEO of Chase is getting a big raise. An $8.5 Million dollar raise! I guess I am just naïve to think that if the bank I was in charge of was on the verge of civil and criminal charges and I had brokered the deal to “limit” the costs to the bank to $13 Billion in the one case, that maybe the Board of Directors might ask for my resignation, if not firing me on the spot. After all, as the CNBC article quoted above states, the profits of the bank fell 16 percent! Don’t forget that the reason why Mr. Dimon’s compensation was lowered to a “mere” $11.5 million in 2012 was due to the “London Whale” trading fiasco that also occurred under Mr. Dimon’s watch. 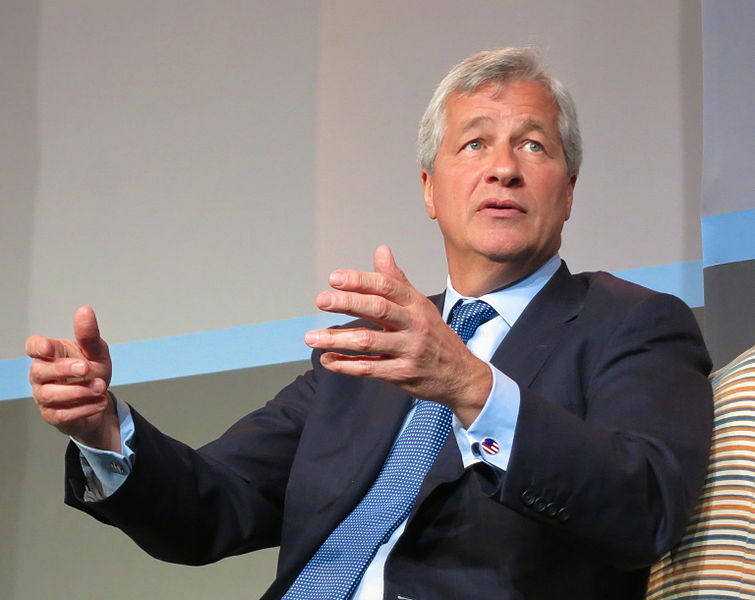 Is it just me or could all of this nefarious conduct by the bank, led by Mr. Dimon, lead a reasonable reader to wonder what does it take to get fired at JP Morgan Chase? It seems obvious that if you are Jamie Dimon, you can be praised by some members of the Board for reducing the exposure of even larger and more disastrous penalties, even though the practices that led to that same civil and criminal liability came while you were the CEO. It has been suggested by one former regulator that much of the profits made by JP Morgan Chase and other big banks in their alleged fraudulent behavior have gone into the pockets of the bank’s executives. “Regulator William K. Black Jr. played an integral role in the prosecution and conviction of more than 1,000 bankers over the savings-and-loan scandal of the 1980s. Black, who is now a top economics professor, is understandably disturbed by the fact that there has not been a single prosecution of the major Wall Street executive over the much larger scandals which led to the 2008 financial crisis. Maybe I am missing something, but it may be time for the JP Morgan Chase shareholders to find a new Board and a new CEO. If I was a shareholder of JP Morgan Chase, I think it would be a fair question to ask why is incompetence and allegedly criminal activity rewarded in the form of an almost 50% raise? Another question that keeps coming to mind is why aren’t some of these banksters doing the perp walk? What do you think? Having a great deal of familiarity with one of the institutions cited, I can say that the provable violations were lower down. Making the case that there was culpable criminal conduct at the top would be far more difficult. What does one call a Government that allows corporations to create laws (ALEC) that create walls to protect the very corporations that screw the People over? In America, we have two sets of Laws. … The second set is used to prosecute Just-US! It has become more than a case of golden parachutes. It is now an airborne assault on everone below. Well that Alex Pereene guy comes off as a total jerk. Certainly the caller is unskilled in presenting his case & in handling Mr P, but this Alex guy totally attacks liberterian principles, ignoring Laisez Faire & championing big government. The principles are very simple & completely workable, more than you can say for big government & Social ‘Democracy”. These big bankers are in cahoots & profiting from government; there is nothing laisez faire about it. Thanks again Elaine. You have to love Sen. Merkeley. Once again, one of my comments didn’t post. I’ll try again. For the purpose of correcting my last sentence. It should read” Personal comments about him are not relevant unless you are suggesting that he is not being honest with his readers”. When one looks at the make up of corporate boards, it is not hard to see the conflicts that lead to obscene compensation packages but Dimon is particularly egregious. Shareholders in most companies are institutional investors and other billionaires, I don’t have much sympathy for them because they managed to keep him in the two most powerful positions at JPM. The whole JPM situation is an example of how corporate greed and goverment capture and incompetence make our laws nothing more than mere irritants to corporate big wigs. Thanks for the great article. It is right on point and sheds further light into the too big to fail or jail banksters. Did Mr. Black say anything wrong in the quotation and if so how? He is not the only one making those kind of claims and his statements jive with the linked articles and other articles. Personal comments about him are not relevant unless you are suggesting that his not being honest with his readers. My last comment didn’t post. I’ll try again. Why Won’t Obama Go After Criminal Bankers? I used to work with Bill Black back in the savings-and-loan scandal days. I like Bill. But the fact is that Bill has a big ego, overstates his role in those 1000 convictions, and underestimates what it actually takes to prove a crime, or even an administrative violation that would lead to payment of restitution or issuance of a removal-and-prohibition order. To his credit, Bill pushed very hard to have Charles Keating prosecuted by the Office of Thrift Supervision (and others), but Bill was not the one who conducted the investigation or tried the case. Another very fine lawyer was the lead trial counsel on that, and the prohibition order against Keating still stands (the only sanction against Keating that withstood all appeals). At some point in the mid-1990’s, Bill decided he would rather go back to school, get a Ph.D., teach and write books. Now that’s what he does. Statements like the above help sell books. One can only assume that Mr.Dimon’s bodyguards are the best paid AND top performing in their trade (unlike Mr.Dimon himself), simply to provide him the protection that is inevitably needed to thwart but a single well armed, well prepared, and quiet disenchanted consumer, stockholder, or even simply a media consumer fed up with the felonious shenanigans that these demigods of banking and Wall Street get away with while the mainstream constituent has been virtually completely disenfranchised by the corporate influence on Capitol Hill. I fear that the stockholders may not be the only ones willing to try and take matters into their own hands, and certainly there will be a significant repressive backlash from their bosom buddies on Capitol Hill should this occur. JUST TO THINK THEY WANT EVERYONE OF US DEPENDED ON FOOD STAMPS, AND ANY OTHER JUNK THEY CAN NOT GUARANTEE. THE BIGGER THEY ARE IN THE END, THE HARDER THEY WILL FALL, AND JESUS CHRIST IS ON HIS WAY. WE DO NOT KNOW THE DAY NOR THE HOUR, BUT FOR THEM HE SHALL COME LIKE A THIEF IN THE NIGHT.